The sharpener that you grew up with but better. 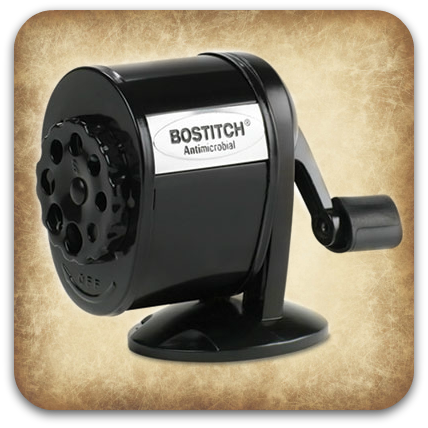 The Bostitch® manual pencil sharpener is made of metal construction with a unique auto stop feature to prevent over sharpening. 8 different hole openings for multiple size and shape pencils. The sharpener mounts vertically and horizontally. Clamp and screws are provided.